INTELLIGENT COMPUTING Internet Latest Mobiles microsoft Nokia Updates Nokia Collapse in Microsoft: What we need to learn? 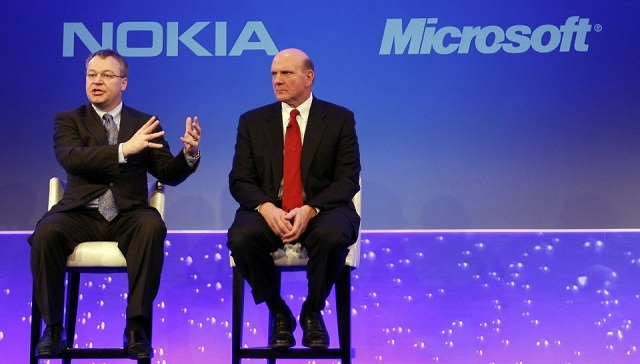 Nokia Collapse in Microsoft: What we need to learn? Recently Microsoft Acquired Worlds Leading Mobile manufacturing brand Nokia and ends the journey of 148 year. What makes this big company to get to the end, where Nokia lacked, let us get to know in few words. Hi Everyone, Welcome to Intelligent computing. In 2007, Nokia had world’s mobile market share of 40%. Once Nokia became the Symons for Mobile. What went wrong resulting only 15% share in recent report? In addition, talking about the smartphone, Nokia had very low share of 3%. Let us know few more words about Nokia, what this acquisition makes us to learn. More than 140 year History of Nokia! Finland Based Mobile manufacturing company started in around 1880 and initially they used to manufacture rubber goods, boots and gas mask for army forces. Later of it manufactured even vehicle’s tires and its parts. After 1980, Nokia got hot and started as rapid electronic market king. After 1987 Nokia had firm hold on Mobile market and it launched variety of mobile with all basic functionality in it. India, Nokia’s leading market had lots of customer and trust. What Changed in this Millennium? Once I was reading an article and I got news of 2000, which had news that Microsoft’s some leading people were estimating that after few year they will be able to use Internet on their Mobile phone. It almost went 13 year and book is open to all. Internet is now mobile, things changed rapidly after 1990s. Hardware got Firm, slim and software got powerful. Market changed, people changed and no doubt, Nokia had adopted few changed to but not totally. I believe that is what Nokia lacked and slipped from the Track. Why Nokia had not became smarter? I would say insecurity, lack of far vision and hesitation of adopting newer technology. No doubt, Nokia had strong market and no one wanted to loose such strong base. Beside Nokia Apple launched iPhone, and Nokia did not considered touch screen phone and ignored the thought. After that Dual SIM phone became the common for customer but Nokia got so late in understanding the need of it. After that OS, Nokia was still using s40, s60 series old concept operating system where Microsoft, Google, Blackberry and Apple were continuously getting changes in design and feel along with newer functionality in their OS. What was Nokia in 2012-2013? Very few Nokia mobile were in use and most of range of s40 series. S60 series phone were costing equal amount so people rather start buying Android, Google based Open source mobile OS. Nokia had its Phone having Windows OS but it was having cost that people could buy smart tablet or great featured android phone with open functionally with millions of apps. Even being such large company, Nokia’s Acquisition held in just 7.2 Billion dollar, comparing Skype sold in 8 billion dollar. This deal would be completing in next 3 month and all Nokia employee will be now Microsoft Employee. Customer will not get any trouble with this deal and Microsoft will use the Nokia’s manufacturing capacity to launch Windows phone. If you are thinking of today, you are too late. Think of tomorrow and you will learn how to survive. Technology changes rapidly and market is dynamic, one should keep experimenting rather than sticking with older one. Hope you’ve got to know about the Nokia Microsoft deal and its Effect. Do not forget to leave your comment about this and share this post among the people in your social connection. Have great time you all. yeah, you are damn right, i think nokia is popping out Lumia day by day and nothing in that to get the attention, one android can make big change. Nokia KILLED ITSELF with the infamous SYMBIAN, instead of allowing ANDROID system on their devices.